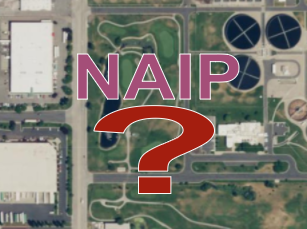 Is the Future of NAIP Aerial Photography in Trouble? Potential changes to the USDA's NAIP one-meter color aerial photography program were a hot topic of discussion at today's FGDC Coordination Group meeting. In response to reduced funding, USDA is currently reevaluating the efficacy of the NAIP program. Reduced funding for NAIP is due to agency budget cuts, partially met commitments by federal partner agencies outside of USDA, and later-than-desired transfers of partner funding that require USDA to take on extra financial risk. Accordingly, the NAIP acquisition contract renewals will be for one year only in 2018 and the NAIP flights are slated to move back to a three-year cycle. Notably, USDA is considering subscribing to a commercial imagery subscription starting as early as 2019, and has determined that a USDA-only COTS license would meet USDA needs while cutting their internal acquisition costs by 50% and improving resolution by 2x. USDA also stated that it was clear that it would only take a few agencies acquiring their own exclusive commercial imagery subscriptions before those costs exceeded the overall cost of NAIP. Currently, USDA alone supports 80% of the acquisition contract costs and all of the program's administrative costs. Several agencies were mentioned as not fully meeting their partnership commitments, including the Census Bureau, FBI, and DOD. USDA suggested that it may be appropriate to post the potential NAIP program changes, including the possible transition away from a public domain imagery model, to the Federal Register for notice and/or comment. NAIP asked FGDC to consider taking the lead in publishing such a notice and summarizing the resulting feedback. FGDC agreed to take that under consideration. From NSGIC's perspective, if you had to pick one overall indicator for the health of the nation's spatial data infrastructure - or a state's, for that matter - it has to be the accessibility of quality, up-to-date aerial photography. There are lots of ways to ensure these critical data needs are met and more discussion and strategy is certainly needed in the midterm on the bigger picture. But, unquestionably, in the short-term, the federal agencies NEED to find a way to make the current NAIP partnership work. Executive-level leadership must be found at the federal level to continue to fully fund nationwide NAIP on the current two-year cycle until national imagery requirements can be revisited and an even more holistic and innovative approach is adopted. NSGIC has offered support to USDA and FGDC on this important issue. We'll stay tuned and keep states, sponsors, and other members posted on forthcoming developments. Add your thoughts or questions in our imagery discussion forum.